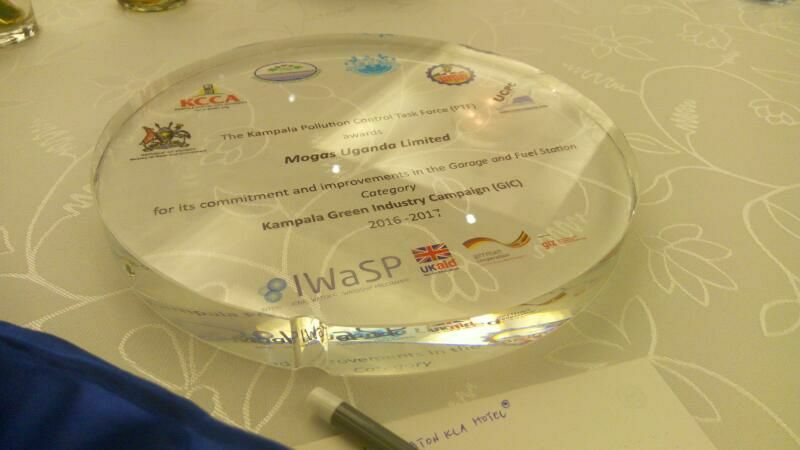 MOGAS Uganda Limited was recognized by Kampala Capital City Authority for its commitment and improvement towards a greener environment under the Kampala Green Industry Campaign program for 2016. MOGAS Uganda beat four other participants (i.e. 3 Oil Marketing Companies and 1 Garage) to emerge the winner in the in the Garage & Fuel Station category. As the MOGAS environment policy dictates, we are committed to taking proactive and practical steps in ensuring that our operations do not pollute or put the environment at risk in any way.